We are obsessed with the rear-view mirror. The nature of the human condition is that we tend to spend a lot of time dissecting the decisions we made in the past. We imagine what would have happened if we had done things differently, made better choices, chosen to stay the course or chosen to change course. It’s a real issue for people who are not happy with where they’ve got to in their career. The problem with staring in the rear-view mirror is that you’ve taken your eyes off the road ahead of you and you’re not paying attention to steering your car. This is definitely not good for your health and happiness in the short-term and it’s not a very helpful way to get to your destination in one piece. Rear-viewers are convinced that they “know what would have happened if”. That if they’d stayed in that last job then they would have got that promotion and led the company … and been happy. That if they’d quit then they would have founded a brilliantly successful internet startup … and been happy. Maybe they would. Or maybe they wouldn’t. We’re all different and life is unpredictable. That grass looking greener could just be a trick of the light. If you’re happy with where your life decisions took you to then you’re probably ok. But what if you’re not happy with where you got to? Shouldn’t you be checking that rear-view mirror? Wouldn’t you want to go back and make the decisions differently? The thing is, when we make big life decisions we usually think carefully about it. We do our research. We get advice from family and trusted friends. (And sometimes we don’t.) And we trust our judgement. (And sometimes we don’t.) But whichever way, we know ourselves better than anyone else. And we make our decisions. Our way. And we live with the consequences. Who are we? We are the sum total of all our life experiences, good and bad. No-one goes through life with everything going to plan (and if they did then the rest of us probably wouldn’t like them very much). The path you’ve taken has made you who you are. Rounded, experienced, resilient, interesting, unique. The opportunities ahead of you are a direct result of everything you’ve built up through life to date. Why shouldn’t we stare in the rear-view mirror? Because life has no reverse gear. The road ahead is where it’s at. 1. You are driving the car so you’re in charge of the steering. Trust your judgement, you’re in control. 2. If you took a wrong turn, so bad – find an alternative route. If you think you made bad decisions in the past then take the opportunity to make better decisions in the future. 3. You can never know where you would have ended up if you’d taken a different direction. The choices you have made have made you the person you are, and are the basis for where you are going in the future. 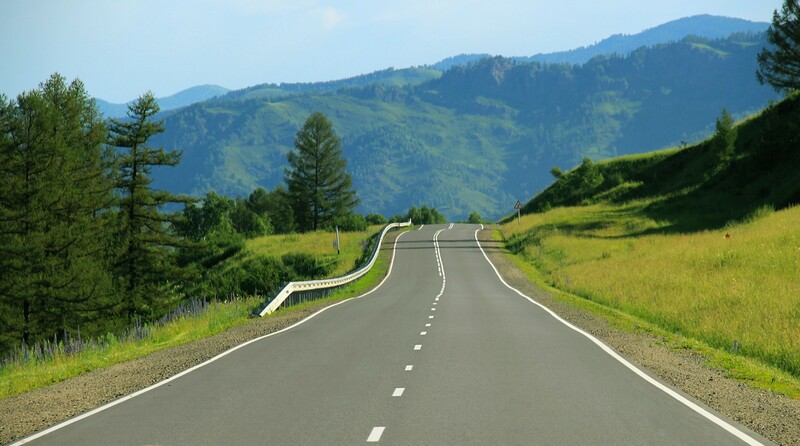 You will be happier, more confident and more productive if you focus on the road ahead. You’re on a journey and you never know what’s around the next corner.